Larger display and new design detailed. 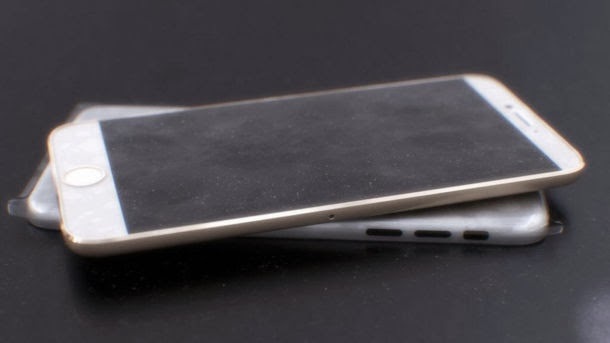 The rumor mill may be working overtime with buzz about Apple's next-generation Apple TV, but images posted today have sparked interest in another upcoming product: the iPhone 6. Coming by way of an anonymous Twitter user and Sonny Dickson — the same blogger that leaked shots of the Galaxy Note 3 and Apple's iPhone 5C last year — the images reveal what is believed to be the shell of Apple's next iPhone, which features a larger screen, an ultra thin bezel, Touch ID, and a new aluminum back akin to the current iPod touch. The leaks align with previous reports that Apple would increase the iPhone's screen size to 4.8-inches, up from the iPhone 5S' current 4-inch display. While certainly compelling evidence, it's important to remember that the iPhone 5S shipped roughly 5 months ago and its successor isn't expected until September or October of this year — assuming it sticks to its annual release schedule. The images presented today could be merely prototypes of experimental designs, or worse yet, compelling knock-offs.